A HUNDRED years ago it was perhaps already possible to discern the rising powers whose interaction and competition would shape the 20th century. The sun that shone on the British empire had passed midday. Vigorous new forces were flexing their muscles on the global stage, notably America, Japan and Germany. Their emergence brought undreamed-of prosperity; but also carnage on a scale hitherto unimaginable. Now digest the main historical event of this week: China has officially become the world’s second-biggest economy, overtaking Japan. In the West this has prompted concerns about China overtaking the United States sooner than previously thought. But stand back a little farther, apply a more Asian perspective, and China’s longer-term contest is with that other recovering economic behemoth: India. These two Asian giants, which until 1800 used to make up half the world economy, are not, like Japan and Germany, mere nation states. In terms of size and population, each is a continent—and for all the glittering growth rates, a poor one. This is uncharted territory that should be seen in terms of decades, not years. Demography is not destiny. Nor for that matter are long-range economic forecasts from investment banks. Two decades ago Japan was seen as the main rival to America. Countries as huge and complicated as China can underachieve or collapse under their own contradictions. In the short term its other foreign relationships may matter more, even in Asia: there may, for instance, be a greater risk of conflict between rising China and an ageing but still powerful Japan. Western powers still wield considerable influence. So caveats abound. Yet as the years roll forward, the chances are that it will increasingly come down once again to the two Asian giants facing each other over a disputed border (see article). How China and India manage their own relationship will determine whether similar mistakes to those that scarred the 20th century disfigure this one. Neither is exactly comfortable in its skin. China’s leaders like to portray Western hype about their country’s rise as a conspiracy—a pretext either to offload expensive global burdens onto the Middle Kingdom or to encircle it. Witness America’s alliances with Japan and South Korea, its legal obligation to help Taiwan defend itself and its burgeoning friendships with China’s rivals, notably India but also now Vietnam. This paranoia is overdone. Why shouldn’t more be asked from a place that, as well as being the world’s most-populous country, is already its biggest exporter, its biggest car market, its biggest carbon-emitter and its biggest consumer of energy (a rank China itself, typically, contests)? As for changing the balance of power, the People’s Liberation Army’s steady upgrading of its technological capacity, its building of a blue-water navy and its fast-developing skills in outer space and cyberspace do not yet threaten American supremacy, despite alarm expressed this week about the opacity of the PLA’s plans in a Pentagon report. But China’s military advances do unnerve neighbours and regional rivals. Recent weeks have seen China fall out with South Korea (as well as the West) over how to respond to the sinking in March, apparently by a North Korean torpedo, of a South Korean navy ship. And the Beijing regime has been at odds with South-East Asian countries over its greedy claim to almost all of the South China Sea. India, too, is unnerved. Its humiliation at Chinese hands in a brief war nearly 50 years ago still rankles. A tradition of strategic mistrust of China is deeply ingrained. India sees China as working to undermine it at every level: by pre-empting it in securing supplies of the energy both must import; through manoeuvres to block a permanent seat for India on the United Nations Security Council; and, above all, through friendships with its smaller South Asian neighbours, notably Pakistan. 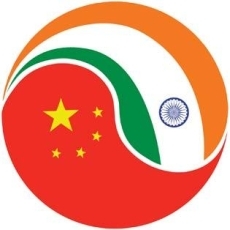 India also notes that China, after decades of setting their border quarrels to one side in the interests of the broader relationship, has in recent years hardened its position on the disputes in Tibet and Kashmir that in 1962 led to war. This unease has pushed India strategically closer to America—most notably in a controversial deal on nuclear co-operation. Autocrats in Beijing are contemptuous of India for its messy, indecisive democracy. But they must see it as a serious long-term rival—especially if it continues to tilt towards America. As recently as the early 1990s, India was as rich, in terms of national income per head. China then hurtled so far ahead that it seemed India could never catch up. But India’s long-term prospects now look stronger. While China is about to see its working-age population shrink (see article), India is enjoying the sort of bulge in manpower which brought sustained booms elsewhere in Asia. It is no longer inconceivable that its growth could outpace China’s for a considerable time. It has the advantage of democracy—at least as a pressure valve for discontent. And India’s army is, in numbers, second only to China’s and America’s: it has 100,000 soldiers in disputed Arunachal Pradesh (twice as many as America will soon have in Iraq). And because India does not threaten the West, it has powerful friends both on its own merits and as a counterweight to China. The prospect of renewed war between India and China is, for now, something that disturbs the sleep only of virulent nationalists in the Chinese press and retired colonels in Indian think-tanks. Optimists prefer to hail the $60 billion in trade the two are expected to do with each other this year (230 times the total in 1990). But the 20th century taught the world that blatantly foreseeable conflicts of interest can become increasingly foreseeable wars with unforeseeably dreadful consequences. Relying on prosperity and more democracy in China to sort things out thus seems unwise. Two things need to be done. First, the slow progress towards a border settlement needs to resume. The main onus here is on China. It has the territory it really wants and has maintained its claim to Arunachal Pradesh only as a bargaining chip. It has, after all, solved intractable boundary quarrels with Russia, Mongolia, Myanmar and Vietnam. Surely it cannot be so difficult to treat with India? That points to a second, deeper need, one that it took Europe two world wars to come close to solving: emerging Asia’s lack of serious institutions to bolster such deals. A regional forum run by the Association of South-East Asian Nations is rendered toothless by China’s aversion to multilateral diplomacy. Like any bully, it prefers to pick off its antagonists one by one. It would be better if China and India—and Japan—could start building regional forums to channel their inevitable rivalries into collaboration and healthy competition. Globally, the rules-based system that the West set up in the second half of the 20th century brought huge benefits to emerging powers. But it reflects an out-of-date world order, not the current global balance, let alone a future one. China and India should be playing a bigger role in shaping the rules that will govern the 21st century. That requires concessions from the West. But it also requires commitment to a rules-based international order from China and India. A serious effort to solve their own disagreements is a good place to start. NEW DELHI: Cricket is no longer the only sport that brings out the patriotic fervour of Indian fans. 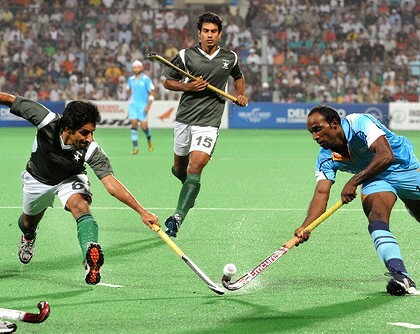 India’s victory against neighbouring country Pakistan in the hockey match at the Major Dhyan Chand National Stadium on Sunday brought out a frenzy in the crowd with spectators going wild cheering for the country, dancing in the stalls and waving the Tricolour. Hardly surprising, given that the India-Pakistan hockey match had been billed as the highest point of the Commonwealth Games and it lived up to that tag every bit. Tickets had been sold out days in advance and even after the match had begun, a few hopefuls were still walking around the stadium hoping to get inside by some miracle. The celebrations spilled onto the streets and continued much after the match was over, with thrilled fans cheering loudly and screaming on top of their voice. Kids with their faces painted white, saffron and green, women with flags and loud men wearing team India shirts were all that could be seen in the streets around the National Stadium. Traffic cops had a tough time trying to ensure the crowd didn’t affect vehicular movement as crazy fans went dancing right on the middle of the road. The cheers could be heard from quite a distance away. The almost deafening silence in the field every time Pakistan scored, was a sharp contrast to the lusty cheering the contingent had received during the opening ceremony. In fact, the number of spectators who rooted for Pakistan were minimal and included mostly journalists and some Pakistani dignitaries though the last of the four goals that the subcontinental neighbours notched up was classified by many as “brilliant”. “I personally feel that the other team should have received more support from the audience. When India made a goal, the crowd would go mad but when it was Pakistan’s goal, there was silence,” said B R Pandey, a resident of Rohini, who had come to watch the match.